When I left the MAC counter I had a highlighter, concealer, technakohl liner, new brush AND an amplified lip crème. God I have no control! I received a gift card for Christmas for The Bay because my family knows I love MAC and that is where my counter is located. Plus I told them that was what I wanted HAHA. So it was burning a hole in my pocket :P Since The Bay cosmetic department was having a $10 off a $75 purchase, I thought it would be a great time to use my giftcard. My intent was to buy $75 get the $10 off and use the $50 GC so I would only spend $15 in total. HAHA I can dream right? I have wanted the Soft and Gentle Mineralized Skin Finish highlighter for a while now. They had Stereo Rose but I thought I would use Soft and Gentle more often. I love this highlighter! It gives a soft glow to the skin. I have been using it every day. I have always wanted to try a MAC concealer. 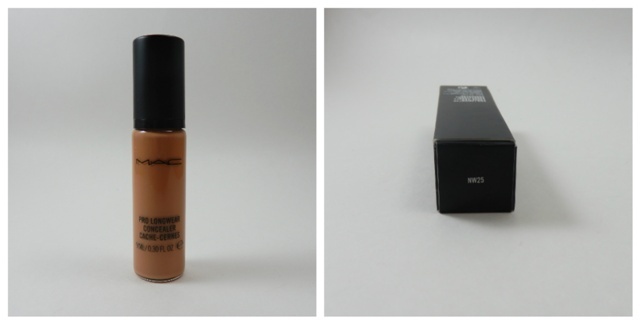 After consulting with the MAC MUA, I settled on the Pro Longwear concealer in NW25. It was the best fit for me. The colour seems a little dark in the bottle but it blends out pretty good. I use it for covering up dark spots. 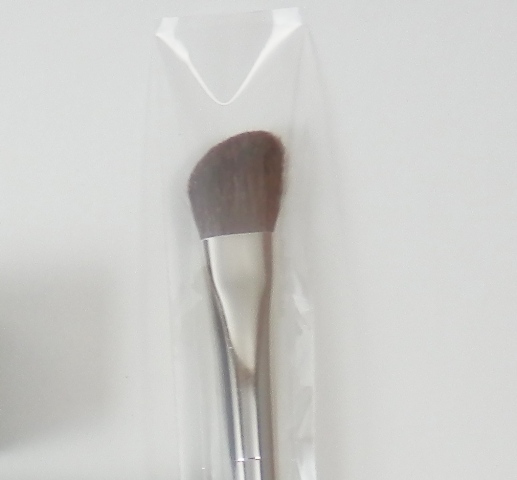 I wish it came in a tube like the mineralized concealer as I find I use too much product with the little pump top. 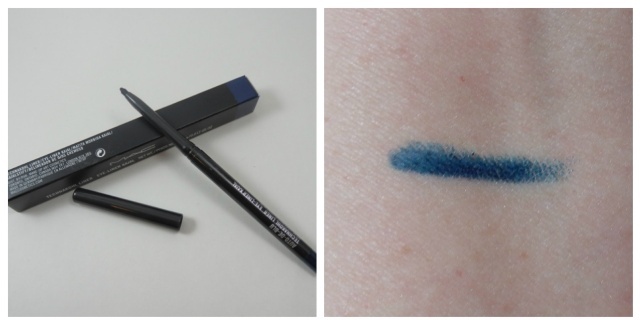 Next up was the Technakohl liner in Auto-de-Bleu, an intense navy blue. I love the Technakohl liners. They are creamy smooth and easy to blend out. Plus it is longwearing for me and I can wear it in my waterline with no problems. Since I am a brush whore, I just had to get a new brush. I debated between the 239 shader brush and the 275 angled shader brush. I settled on the 275. I only have one other angled shader brush and I really like it so I figured I would go with the MAC one as it was a little bit larger. I like it so much I want another one. And finally I have been lusting after Craving since I saw someone wearing it. It is a beautiful pink shade that leans towards mauve. It goes on lighter than what it looks like in the tube. The formula of the amplified crème is fantastic; moisturizing and pigmented. It applies so easily and I do not need to use a lip liner with this formula. 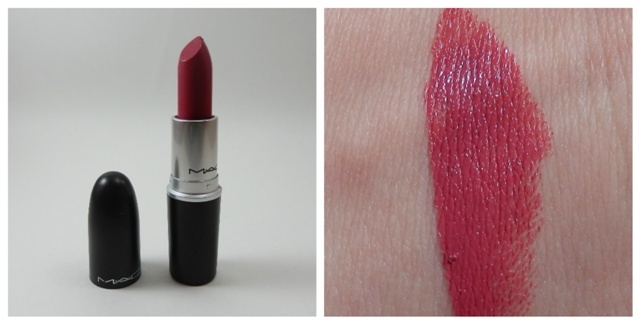 This is my goto lipstick right now. I think this colour would work for most people. So that is my MAC haul. My desire got the better of me but I got some pretty good staple MAC products that I will definitely love for the foreseeable future. It was good thing the Archie Collection wasn’t out that week yet! Great haul hun. The eyeliner looks so pretty I think I might need to pick that up next time I go to Mac. Thanks! I have been wearing it on my bottom eye line. I love how these blend out so well and stay put. I want the purple Technakohl liner now. Are you going to get anything from the Archies collection? Even I did! That mineral highlighter looks REALLY nice and that lipstick - divine! The Veronica line appeals to me the most. The Spoiled Rich eye set and of course I have been eyeing up the brush set/tin. But my MAC counter and the one by my house is sold out of the tins :(. Everything I got was from the permanent line. Oldies but goodies :) Craving is beautiful. I think it is one shade that would work for so many skin tones. Oh and what did you pick up from the Archie line? Can we see in an up coming post? :D please???? I know how you feel dear!! That's why it is dangerous going to the mall lol!! No kidding! I try to stay away from the side of the mall Sephora is on! I know I will just have to go in an 'just take a look'.